The website of artist, poet, author and historian, Cormac Baker will be appearing here soon - watch this space! 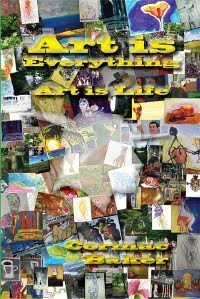 In the meantime, we are pleased to announce that Cormac's debut anthology, Art is Everything, Art is Life has just been published and is available to buy now, in print and e-book editions. Anthology - poetry, art, painting, photography. 84 pages, full colour. For a limited period, the e-book edition of Cormac's anthology is available for free on Smashwords. Just enter the promo code FS27J at checkout to claim your free copy.